If you are looking to sign up for our new online Stormwater Inspector Training Course, but cannot pay with a credit card, here are the instructions for paying by check in the mail. Make sure to include a list of the names of the participants. Have each person go to the course website HERE and sign up for a free account. Once your check has been received and each person has created their account, you will be added to the course manually, and you will receive an email notification that you have been added to the course. Now you can begin! 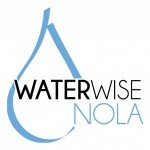 If you have any further questions, please email us at louisianstormwater@gmail.com.